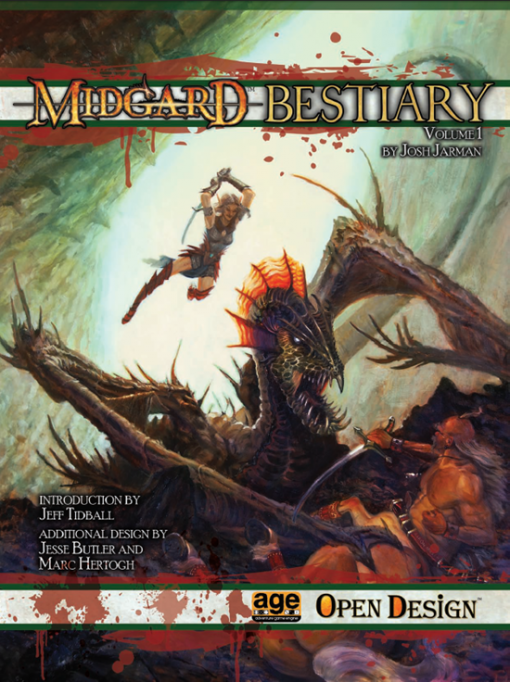 The Midgard Bestiary for the AGE system is here, with 50 monsters and foes drawn from Open Designs award-winning adventures and sourcebooks. 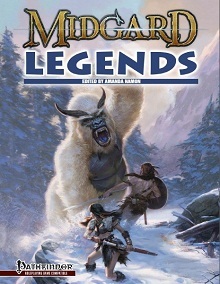 Between its covers lurk some of the greatest monsters that Open Design has unleashed on players over the last five years  ready to deploy in your AGE System adventures. 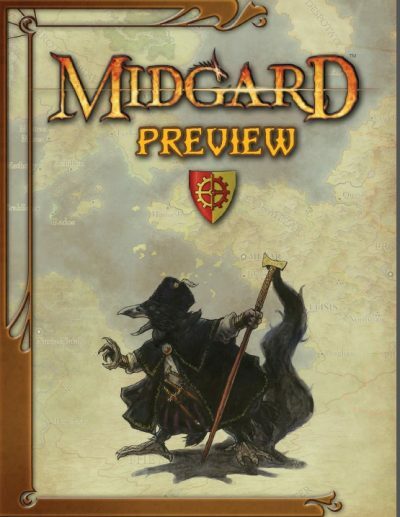 Created for the Midgard campaign setting, all of them are core fantasy creatures designed for easy adaptation to a homebrew campaign or another published setting. 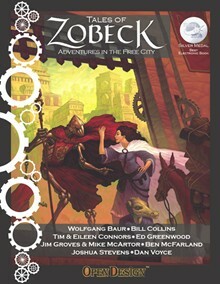 Youll find lots of old favorites here along with brand-new monsters: foes and allies from the Free City of Zobeck, the empire of the ghouls, the courts of the shadow and river fey, the Old Margreve forest, and the Ironcrags. 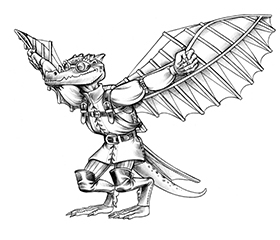 AGE system players now have a toychest that includes the steam golem, kobold slyblade, ghost knight, imperial ghast, bonepowder ghoul, roachling, free canton siegebreaker, and the spark, all fully illustrated and heavily playtested for play with AGE Set 1 or Set 2! 58 pages, with an introduction by Dragon Age RPG Line Developer Jeff Tidball. Produced under license from Green Ronin for the AGE System.